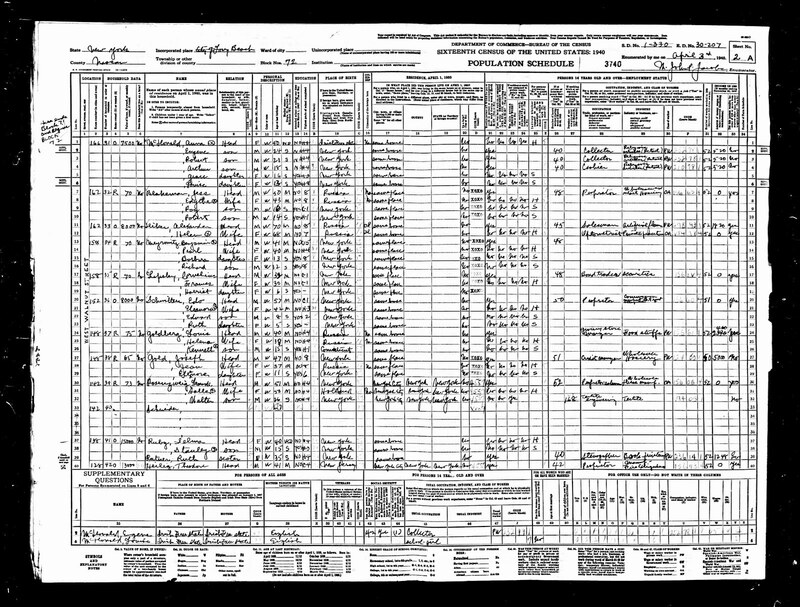 Access to images of the 1940 census enumerations has just been made available though Ancestry and probably other sources. So far, the records are not searchable by name, but the actual enumeration sheets are browsable by population center. So, I went to Long Beach in Nassau County NY and found six enumeration districts listed. Using Google Maps, I was able to figure that District 30-207 would include the section of West Walnut St. where the Ruby family resided. Clicking that link leads to 79 pages of image files, but I was lucky to find 138 West Walnut on just the third page. It is below. There's nothing very surprising here but interesting nonetheless. The enumeration date is April 3, 1940. Selma, age 40, is the head of household. 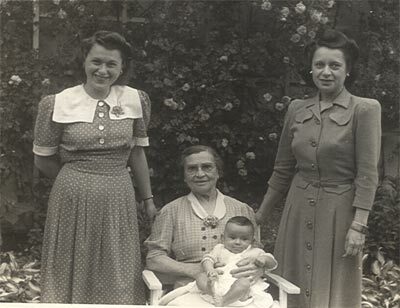 The other household members are Stanley, son, 15, and Ruth Ratner, sister, 35. Selma is widowed, Stan and Ruth are single. Stan is an active student who has completed his third year of high school. (Is that right, or is he currently in his third year?) Selma and Ruth both finished four years of high school. All three were born in New York. All three have lived in the same home since 1935. Selma and Stan are not in the work force because one is a homemaker and one a student. Ruth was employed full time as a stenographer for a book printing company and earned $1248 per year. Selma is the owner of the home at this address, and the home is valued at $15,000, which is the highest valued home on the page. Selma was not selected to be asked supplementary questions. Zach, as our resident census expert, do you see anything else that I may be missing? 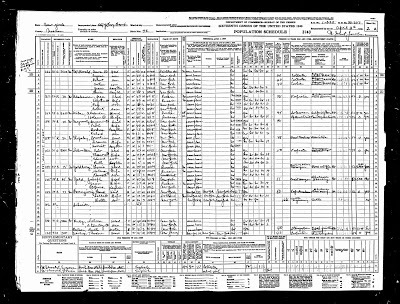 How does the 1940 enumeration form differ from the 2010 census you worked on? It seems surprising to me that they get income and home value/rent payment information for every citizen. If I'm not mistaken, this is the first year that used supplemental questions. It appears they are asked of everyone who falls on the 2nd or 6th line of an enumeration sheet, or five percent of all the names on a sheet. Click the image to enlarge. Our family members appear on lines 37-39.